Remember back in April when we reported that Friendster, one of the first dedicated social networking sites, was to unequivocally delete all user profiles photos, blogs, messages, groups and whatnot by May 31? The site’s owner, MOL Global, at the time said that Friendster would be repositioned as a social entertainment destination site where people could swing by to play games and enjoy music, and that it would leverage Facebook Connect. This morning, Friendster relaunched as yet another social gaming portal, indeed powered by Facebook Connect (interesting comments over at Hacker News). I’m not seeing anything music-related at this point, but it’s always possible that those plans are still in the works. If you still have your Friendster login credentials from back in the day, you should still be able to get in with your ancient user name and password. The site lets you play a number of casual games (I counted about 20) and invite your Facebook, Gmail, Hotmail, AOL or Yahoo contacts to play together. 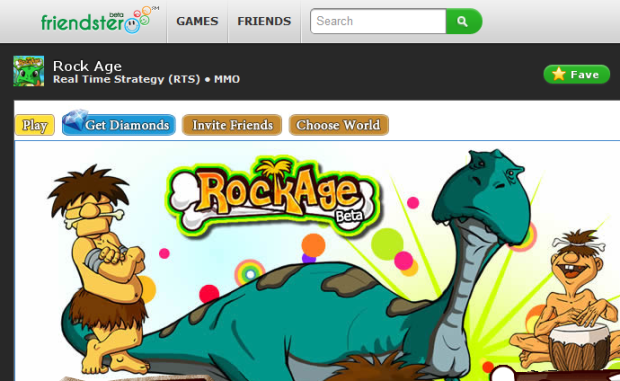 Friendster also offers an API to help developers deploy games on the network. Coincidentally, the relaunch comes as Google just launched its answer to Facebook and Twitter, which have become the dominant social networking services after the demise of Friendster and MySpace. Update: also on the same day, Myspace gets acquired for a measly $35 million.